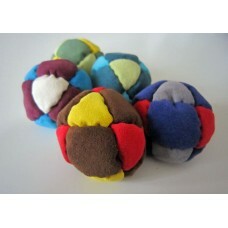 The Freedom Footbag is made in Idaho, USA. 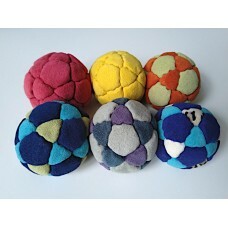 It is filled with relatively course sand and made of a ..
Professional 14 panel freestyle footbag, stitched by Hania Mieckiwicz (PL). 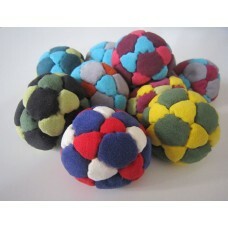 Great for beginners, a..
Professional 32 panel freestyle footbag, stitched by Hania Mieckiwicz (PL). 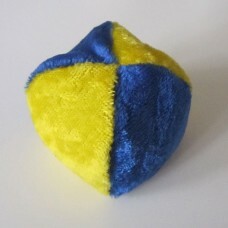 Worlds best selling 32 p..
Hand-crafted with German precision from Marco Hartig. Playing freestyle for many years himself, he k..